Who does not even know The Body Shop? It has been here since I was a kid and I still remember going there with my mom and I would go a sniff every scent they have on the rack. My favourite scent to sniff is definitely White Musk. The Body Shop has been know for its cruelty free and natural products. From Body Care to Make-up stuff. 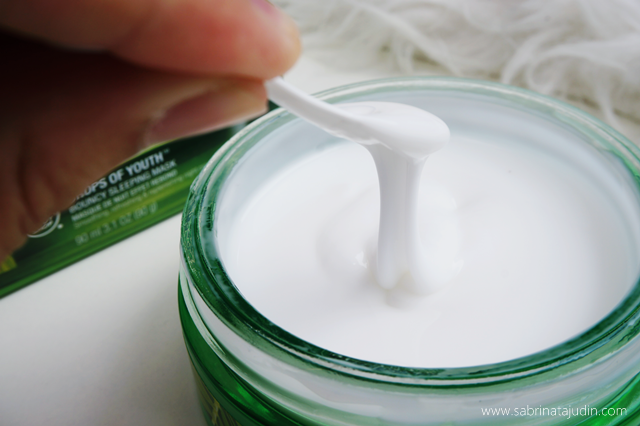 Today I am going to review their new skincare product from the line Drop Of Youth. When it comes to skincare products. Sleeping mask is a big yes during my night skincare routine. I tried many sleeping mask and have a few favourites. One of it is this! 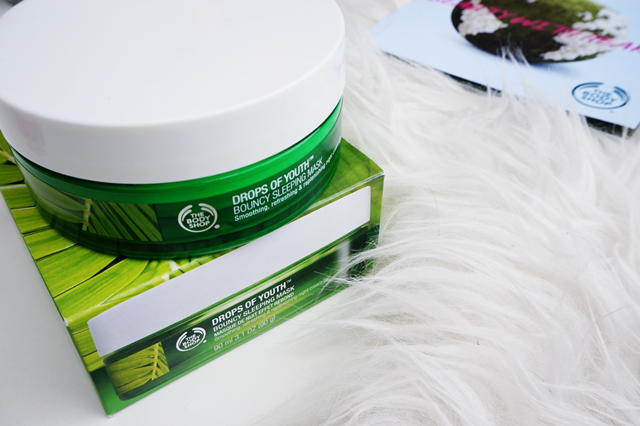 It is the Drop Of Youth Bouncy Sleeping Mask from The Body Shop from their best-selling youth enhancing range. It features a unique bouncy and memory shape texture “jelly” that acts to moulds itself like a second skin. 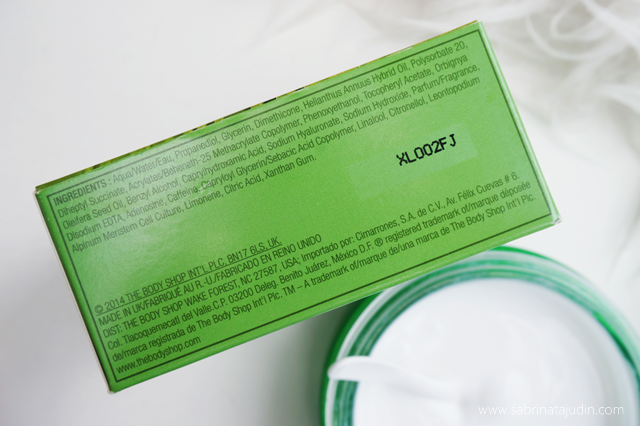 It has been said that this sleeping mask is enriched with the Edelweiss plant stem cells. It is a hardy flower thrives in the harshest conditions high in the Alpha. What is a sleeping mask? Of course, most recommend to be use during night only. Sleeping mask is just like any other night moisturiser but they have "mask like" treatment while you are sleeping. Leave it overnight and you can see much different when you wake-up! Also great works if you are travelling (weather changing) and you skin dehydrated while in the flight resting. What I like about it. I love the unique texture it has. It's like a jelly+soft pudding kinda gel. 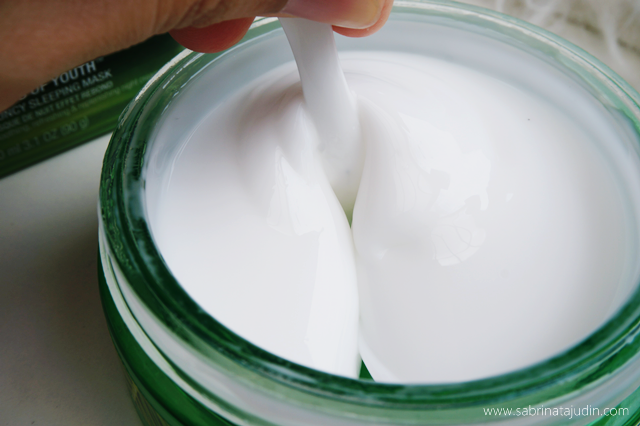 See image 4th & 5th, The cream it self is firming on it own, think about how its going to do to your skin! Don't care, flip hair! Amazing! It's not heavy or too creamy. Just nice! I love how it gives me this refreshing scent after massaging to my skin. It's hydrating, it makes my skin look dewy but not oily, it feels luxurious on the skin with the massage technique. The price from my opinion are pretty good too. Compare to the other sleeping mask that I like before which is the KISS Cream Mask, they are pretty much the same price but you get more with this. It's a cruelty free products, what else could I ask for! I love it! What I don't like about it. So far nothing but maybe how big and bulky the jar is. It's the heaviest jar I ever had! Haha. Could not be a travel friendly item but actually I love how sleek and luxurious the look of the jar is. So It is just a love and hate factor. If I put it on my face too much, it can gives me this thick and uncomfortable feeling. 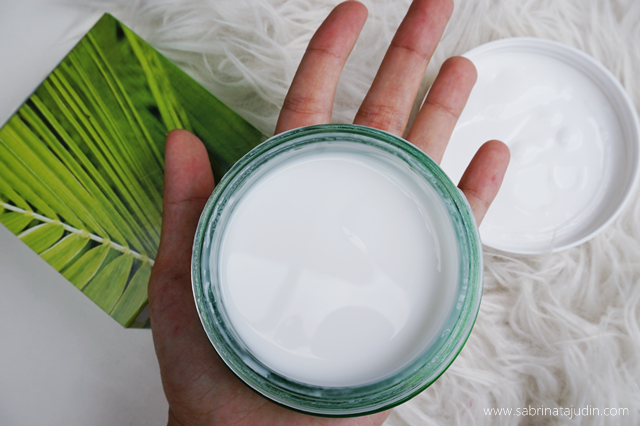 Since the texture if a bit different from ordinary moisturiser, picking it up is pretty hassle if you are in a hurry. It comes with a spoon that really helps with this matter but I am a person who always misplace small items. Boo-Hoo me. Overall & Recommendations. I recommend this sleeping mask to you if you are looking for an everyday firming sleeping mask that hydrates really well. I actually skip my night moisturiser and just use this after applying my eye cream. This is just good enough for me! In the morning I realize that my skin in "shiny" but not oily. If you know what I mean. It gives me this healthy dewy skin. My skin look really energize even after waking up early in the morning. My skin is not dry even my room is air conditioned all the time when I was sleeping. I also realize that my acne reduce faster than before. Hm.. This does firm, fix and fight that bad old spot! Also Dr. Terry skincare expert appointed by The Body Shop Global has specially designed a massage technique you can use when using this Sleeping Mask. It helps to stimulate your lymphatic system that encourages better absorption. The steps are as below pictorial and watch Dr Terry herself demonstrate the massage technique in the video below. Its very pudding like. super nice! memang tengah tengok2 review sleeping mask. thanks dear sabrina! Speaking of eye creams, have u tried any eye creams from The Body Shop? I hear the vitamin E eye cream is good but what do u think? If u have already tried it, does it really work? kita suka body shop for the perfume... utk skincare tak pernah guna lagi. perfume body shop mmg best! I'm a huge TBS fan before trying out the skincare - Seaweed line which dry out my skin like cray cray with breakouts along my jawline. sigh. But still, as I'm big on anything that can help me cut my routine from 7-9 products to 2 products on certain night so yes, I'm actually interested to find out what kind of changes I'll be experiencing with this product. Welcome dear! yep, i skip my serum and moisturiser. straight to a sleeping mask. i find it works well! What else can we say.. body shop kan, mmg thumbs up for their perfume..
Im one that addict to bodyshop also. :). i do love this product. Agree with you regarding its packaging. I even asked the sales advisor if they have a smaller size, which they don't. So far i'm happy with the outcome.